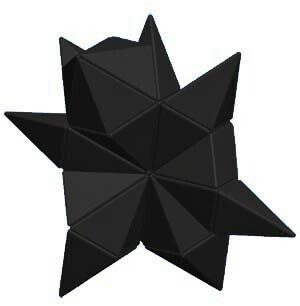 30 black magnetic pyramids click together to create a rhombic triacontahedron (it’s easier to make than it is to say!) 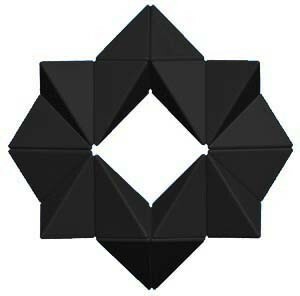 one of the most perfect geometric shapes. 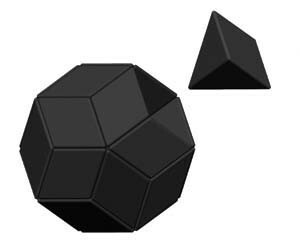 Each individual piece of the Ball of Whacks® is a "golden ratio" rhombic pyramid. 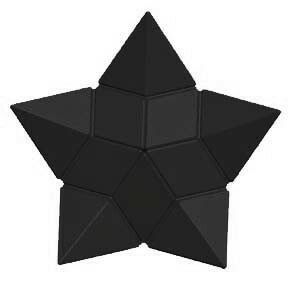 Held in place by 180 rare earth magnets, the design pieces can be formed into any shape you can imagine. The Ball of Whacks comes with a 96-page illustrated creativity guidebook that provides you with tips, inspiration, mental exercises, and insights into the creative process. 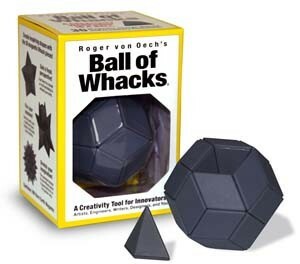 Among its many awards, the Ball of Whacks® was voted "Best Desk Top Toy" by Fat Brain Toys. 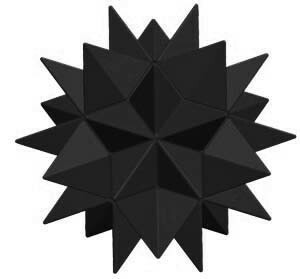 This new black Ball of Whacks is a perfect corporate gift. Give one to every stressed exec you know!